What is GAPS? How does the GAPS gut-healing protocol differ from the traditional food diet? What are the similarities? What are the differences? 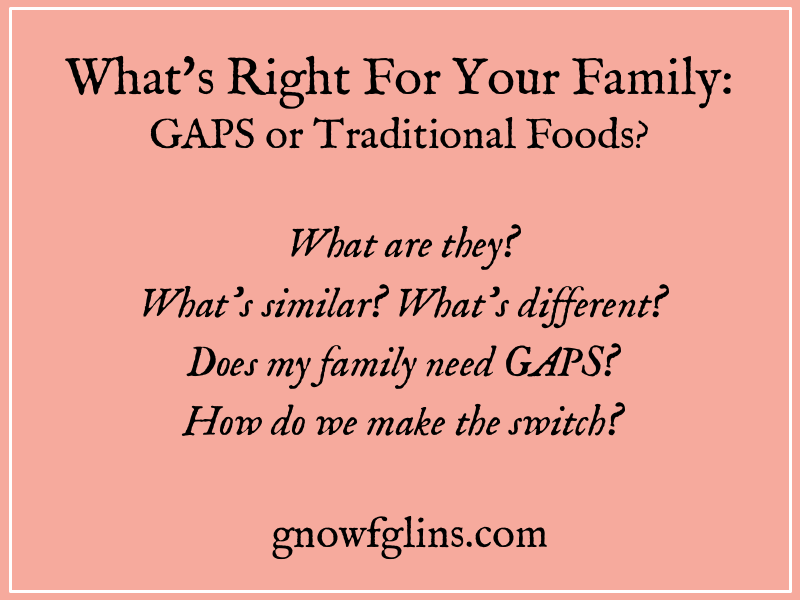 Does my family need GAPS or will traditional foods heal? How do we make the switch from one diet to the other? I can't tell you how often I get asked these questions. So I asked my good friend Melanie Christner, GAPS practitioner and teacher of the online GAPS Class, to fill in the blanks for us. Sometimes it can be confusing… what are the differences? And what is right for your family? I focus this article on the differences and similarities between the Traditional Foods diet (I reference the WAPF for this) and the GAPS Protocol. I feel the GAPS Protocol is helpful for those who have been eating WAPF for a while, but find they need something more to undo the damage done by Western diet and medicine. First let's outline what GAPS and WAPF diets are. 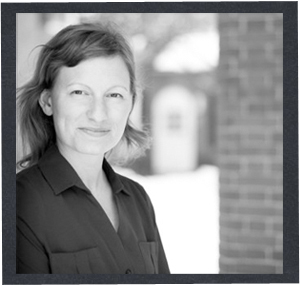 GAPS stands for the Gut And Psychology Syndrome, and it's a protocol developed by Dr. Natasha Campbell-McBride. It makes a connection between the health of the digestive tract (permeability, balance of microbes, inflammation, etc.) and the health of the nervous system and the rest of the body. The GAPS diet focuses on healing and sealing the gut lining by removing all food stressors for an extended time, and treating with traditional foods such as therapeutic bone broths, and helping the gut microbes rebalance with fermented foods and probiotics. Supplementation is not heavy, but important. Detoxification therapies are a key part of the protocol. Typically one who is serious about the GAPS Protocol goes through the six stage Introduction Diet first (usually 3 to 4 weeks) and then moves on to the Full GAPS Diet for 18 months to 2 years, which allows the body to gradually and safely rebalance and replenish nutrient stores while detoxifying and repairing damage. WAPF stands for the Weston A. Price Foundation. To quote, “A foundation that is a nonprofit, tax-exempt charity founded in 1999 to disseminate the research of nutrition pioneer Dr. Weston Price, whose studies of isolated non-industrialized peoples established the parameters of human health and determined the optimum characteristics of human diets. Dr. Price’s research demonstrated that humans achieve perfect physical form and perfect health generation after generation only when they consume nutrient-dense whole foods and the vital fat-soluble activators found exclusively in animal fats”. There are significant overlaps between GAPS and WAPF. Both GAPS and WAPF incorporate bone broths. Both include fermented foods in daily life, preferably with each meal. Both put an emphasis on the source of foods: i.e. grass-fed meats and organ meats, pastured eggs, raw grass-fed dairy, organic (preferably local) fruits and vegetables. Both put a strong emphasis on nutrient dense and healthy fats, especially fats from grass-fed animals, traditional fish oils; cold pressed coconut oil, palm oil, virgin olive oil. Both emphasize fat soluble vitamins, and those that are easily absorbed — from animal sources. Special focus on Vitamins A, D, and K.
Both put an emphasis on how food is prepared: for WAPF this is properly prepared nuts, seeds, legumes and grains, as well as not eating foods and oils that have been processed by industrial means. For GAPS this means different cooking methods for the Introduction phase, how nuts and certain legumes are prepared, and not eating foods and oils processed by industrial means. Both exclude refined sugars, and refined vegetable oils. Both are full of nourishing, real foods. As there are overlaps, so there are some key differences. GAPS is meant to end after a certain length of time (generally 18 to 24 months), returning to a full WAPF style diet (or Paleo, or Primal). WAPF is a lifestyle choice, so its meant to be long term. GAPS includes therapeutic doses of bone broth, as well as a gentle low-histamine and low-glutamine “meat stock” for a 30 day period during the Introduction Diet. At least 1 to 2 cups a day. WAPF includes bone broth, and encourages its regular consumption, but not a particular therapeutic amount. For those with a compromised gut (and likely a compromised blood-brain barrier), long cooked bone broth can pose a glutamic acid issue until healing has taken place. GAPS includes a specific supplemental protocol as well as a detoxification component. WAPF is diet only, with an emphasis on natural supplements, if taken. WAPF does not specifically head and seal the digestive tract, which is vitally important for nutrient absorption and stopping the flow of toxins to the bloodstream and the rest of the body. Many people begin to feel better, though! GAPS has a slightly steeper learning curve, with an intensive Introduction Diet component, followed by the Full GAPS diet. It’s not quite as simple as saying you are “gluten free”, but is generally adaptable to normal family life and social situations. WAPF can include a learning curve, but once cooking skills are in place, can be adaptable to normal family life and social situations. GAPS aligns more closely to Paleo/Primal with its exclusion of hard to digest grains. WAPF includes grains, with proper preparation. GAPS is a digestive and nervous system healing protocol, excluding food groups for a time that are problematic for the digestive system and nervous system. Some of the problematic food groups are difficult to digest sugars and fibers and starches. WAPF is foods in their real forms, properly prepared, not necessarily excluding any problematic food groups. GAPS emphasizes savory foods as being 85% of the diet — meats, broths, eggs, vegetables, fats and only 15% of the diet being fruit, honey and GAPS baked goods. WAPF doesn’t make a particular distinction for savory vs. sweet. If you feel your health would benefit from the more targeted healing aspects of the GAPS diet, here's a quick summary of how to move from Traditional Foods to GAPS. Therapeutic amounts of meat stock or bone broth, 1 to 2 cups a day minimum. Fermented foods to every meal. Lots of vegetables, in easily digested forms such as boiled and juiced. Lots of animal fats. The more, the faster the healing. Nut and coconut flours for baking (as tolerated). Supplements: Fermented cod liver oil, essential fatty acid/fish oil, therapeutic strength probiotics, HCl and digestive enzymes as needed. Detoxification therapies: Detox baths, juicing, sauna, skin brushing, and enemas (if needed). Many of us (unknowingly) have neglected time honored traditions for several generations, and we’re experiencing the negative effects of poor gut health. It is up to us to take our healing and our genetic inheritance back into our own hands, and leave it better for the next generation. If you are interested in taking your health to the next step and have considered GAPS, I invite you to check out the GAPS Class. GAPS Class is a place to walk through the GAPS Protocol with 10 step-by-step modules (plus 2 bonus modules), family friendly worksheets, and weekly support from both a GAPS Practitioner and the GAPS Class community. Or, at least stop by this link to grab your FREE 30-Day GAPS Guide — my gift to you! Everyone, please share in the comments your experiences with GAPS and/or Traditional Foods. If you switched from one to the other (or back again), how did you know it was time to make the switch? What has either diet done for your family? What tips would you give others? I hate to criticize, but I thought that meats were a big part of GAPs. You have us removing meats and meats with additives. Just fixed Elisabeth – thanks for noticing! My family was on a WAPF diet for several years before switching to GAPS for 18 months. While GAPS was initially great for us, over time we started to develop more problems on GAPS. I found that, in particular, GAPS seems to be very hard on anyone with adrenal issues because it can be very low carb (which stresses the adrenals further since they have to keep sending messages to the liver to convert fat/protein into glucose). That issue of GAPS causing adrenal issues seems to be most prevalent for women of childbearing age and especially women who are nursing. Over time, those issues became apparent for my husband as well, but it took longer for him to start feeling the negative effects of GAPS. I have blogged about many of these aspects of GAPS, and I include these links in case they help anyone else who is trying to decide on whether or not to do GAPS, or trying to figure out why they are starting to feel worse on GAPS. GAPS is hard work and very restrictive, and it can be such a frustrating experience to come out of it with a decrease in health. We’ve had much better success in curing our chronic health issues (such as insomnia, eczema, mood issues, immune problems) through constitutional homeopathic treatment. In fact, our successes with homeopathy have been so great that I decided to become a homeopath! I’d be happy to share more information about the homeopathic approach to curing chronic health issues. Thanks for sharing this. I did GAPS last fall for about a month, and like you said, I started to feel much worse. I was breastfeeding at the time. I was doing it initially for small issues (eczema) so it was frustrating to experience a decrease in health. While on GAPS, I actually developed extremely bad eczema on my hands that I’ve been struggling with ever since. It feels like GAPS is touted on all the traditional food websites to be a panacea, so I’m glad that you posted your response. In reality, GAPS doesn’t work for everyone. I am so on the fence with this right now…we ate WAPF for a long time before switching to GAPS 3 months ago. I will not claim to be doing GAPS perfectly, but in those three months I’ve seen ZERO change in my high functioning autistic son. I’m about to throw in the towel and go back to WAPF style eating (I have oatmeal soaking now for the first time in 3 months! How’s that for timing for this blog entry?!) GAPS was amazing 2 years ago for my husband who had significant gut issues after an awful round of antibiotics for h. Pylori, but it doesn’t seem to be doing anything to help my son. I’d love your perspective. Rochel, how frustrating to see no change at all after 3 months! After all of my experiences with trying dietary measures, I finally came to the conclusion that some health conditions are too deeply rooted to be cured through diet alone. 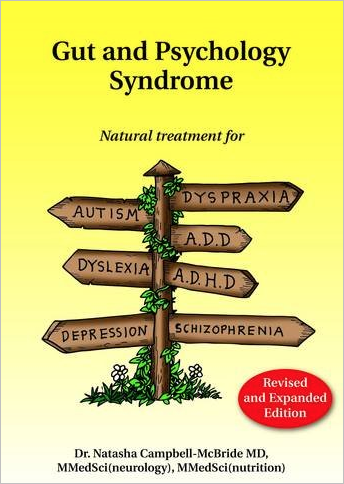 Now with what I know from my homeopathic study and experiences with patients, I understand that chronic conditions are often an expression of miasms, which are inherited predispositions, and I am thoroughly convinced that homeopathy is the only way to actually cure these predispositions and the chronic conditions they produce. Depending on where you live, it can be hard to find a good homeopath locally, but there are many homeopaths who consult with patients through phone. For instance, about half of my patients are far away and consult with me only by phone. I hope this helps, and please let me know if you want more information. I have gone terrible downhill and don’t even know what to eat at this point.